Stamp your uniqueness on your party favor by decorating it with a double-side customized satin ribbon. 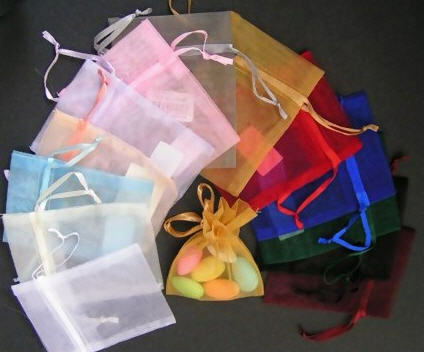 We offer these ribbons in a wide range of attractive colors. You can get them imprinted in gold or silver with your name, date, logo/symbol or a message. 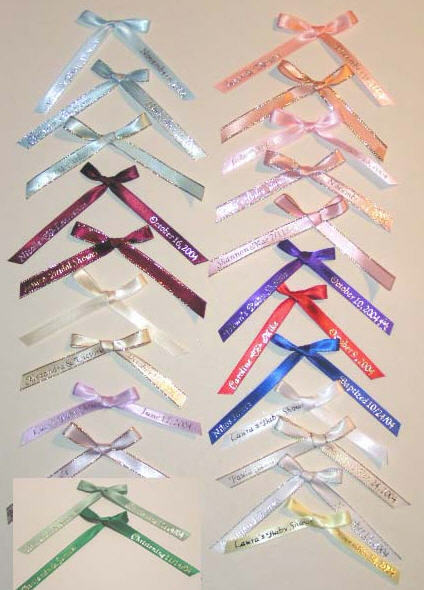 Each 12” x 3/8” ribbon is tied into a bow and shows both messages in front.